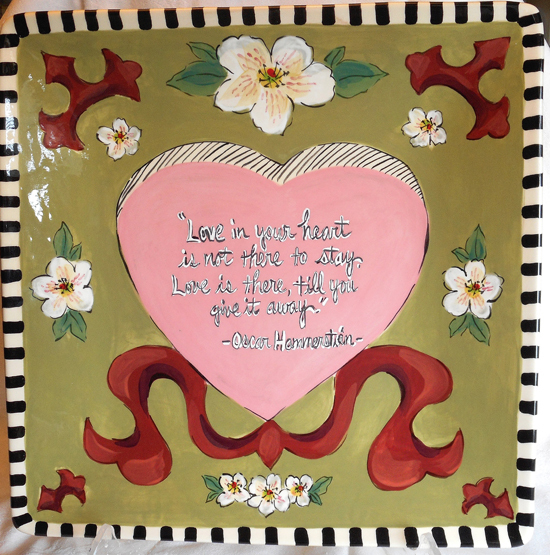 Love in Your Heart/ Charger 14"x 14", quote reads" Love in your heart is not there to stay, love is there till you give it away." Oscar Hammerstein. We can also personalize it for you (but not if it's in Immediate Shipping". Click on photo to enlarge.